The cuts will hit behind-the-scenes roles mostly, the company says. 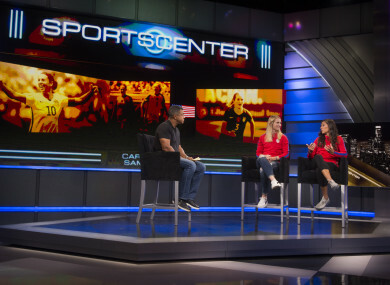 ESPN HAVE ANNOUNCED plans to terminate the employment of “approximately 150 people” on Wednesday in its latest round of layoffs. According to ESPN’s president, John Skipper, the layoffs will involve mostly behind-the-scenes workers and are designed to “do less in certain instances and re-direct resources.” Here is the memo Skipper sent to ESPN employees on Wednesday morning. Email “ESPN to lay off about 150 behind-the-scenes employees”. Feedback on “ESPN to lay off about 150 behind-the-scenes employees”.